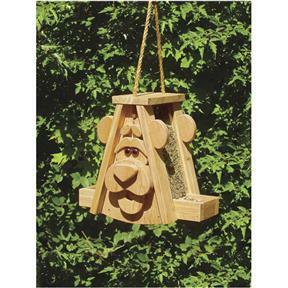 Bird feeder with silly caricature face. 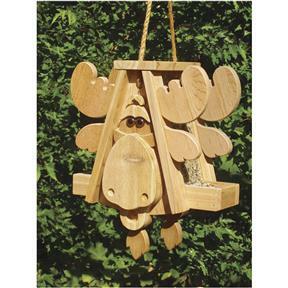 Looks great made from cedar. Plan includes FULL size pattern both faces. Project measures 15"H x 16"W x 9-1/2"D. Note: Due to their nature, plans are non-returnable. Defective plans will be replaced. Bird feeder with silly caricature face. Looks great made from cedar. Plan includes FULL size pattern both faces. Project measures 15"H x 16"W x 9-1/2"D.
I was very happy with your products I made both the Bear and Moose and since have modified the plans.